Eshbach Mulch Products offers retaining walls and pavers from top manufacturers at competitive prices for all your hardscape projects. We sell Hanover Architectural Products, New Line Hardscapes, Belgard Hardscapes and more. We can also recommend local, reliable contractors. We sell all types of hardscape tools and supplies. We also sell and deliver base stone. We rent splitters and compactors for your convenience. Are you currently trying your best to locate blue-ribbon choices in pavers and retaining walls? If you are, then you need to notify the team here at Eshbach Mulch Products in pleasant York, Pennsylvania. We're a local business that can give you access to all of the greatest supplies for paver and retaining wall requirements alike. Our supplies are more than worth your attention, too. That's because they were produced by many of the most acclaimed brands on the market. They're highly economical as well. If you want to secure top-notch supplies without having to fork over an arm and a leg, you can turn to the team at Eshbach Mulch Products. We make completing all kinds of hardscaping efforts straightforward for people who are in both York and Lancaster in Pennsylvania. Some of the renowned brands that are accessible through our business are Belgard Hardscapes, New Line Hardscapes and, last but certainly not least, Hanover Architectural Products. Our family-run company has been accommodating customers in the region since our establishment back in the middle of the nineties. We have a tradition of excellence here, and that's not going to end. We're a company that goes above and beyond to simplify life for our valued customers as well. We offer pickup and delivery services regardless of the exact time of the year. Whether you call us in the middle of the summer or in the middle of the winter, we can accommodate any of your supply pickup and delivery requests. Our options in supplies for landscaping missions truly run the gamut. 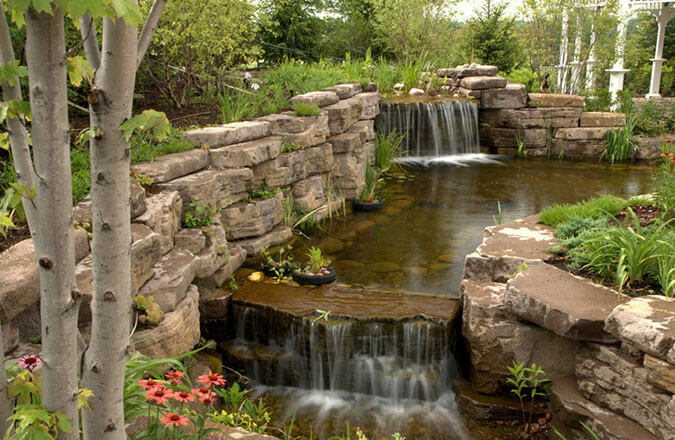 We're known for outstanding choices in natural stone, retaining wall blocks, mulch and beyond. We eagerly aid customers with landscaping concepts of all kinds. Our retaining walls are desirable to many people for a plenitude of reasons. These walls, first and foremost, give in-depth assistance that can stop soil from changing its position. If you want to safeguard soil from moving to different areas, then investing in a retaining wall can do you a lot of good. Our walls can help decrease your upkeep requirements. They can stop frustrating erosion from taking place. They can even keep possible floods at bay. If you're searching for options that can keep unsightly sinkholes out of your life, then you may want to explore the wonderful universe of retaining walls. 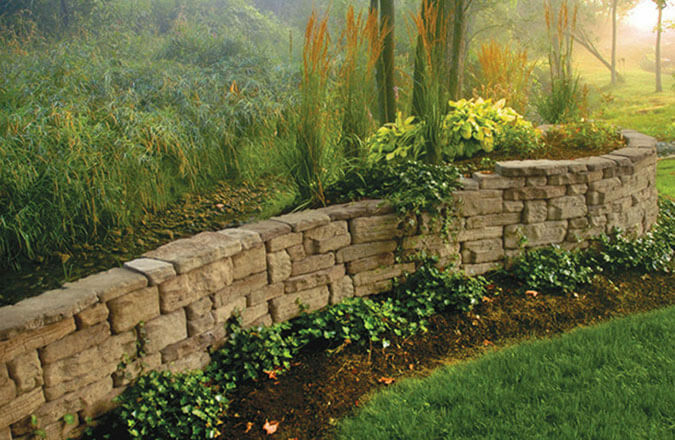 Our decorative retaining walls can make your outdoor space look a lot more charming. They can introduce flair that can make your backyard genuinely pop. 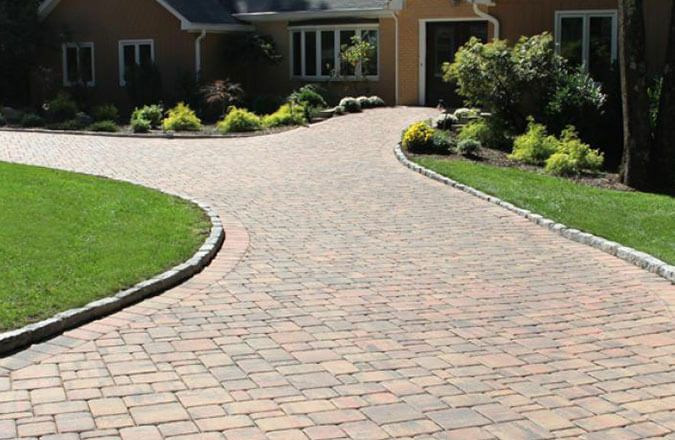 If you're interested in pavers on concrete, yard pavers or anything else, we can come through for you here at Eshbach Mulch Products. If you want to put your money into hardscapes that can give you the joys of longevity, then our pavers may be exactly what the doctor ordered. You can pick between all sorts of appealing paver colors as well. If you're enthusiastic about the idea of pavers that can complete your property's design scheme, we can cater to your wishes. Call Eshbach Mulch Products as soon as possible to discover more about our supplies for pavers and retaining walls. We also sell many paver accessories such as adhesives, edging, spikes, geogrid, hardscape tools & supplies, and much more! Eshbach Mulch Products offers a discount for landscaping contractors. Contact our friendly staff at 717-252-4800 or learn more about our natural stone, mulch and garden supplies.